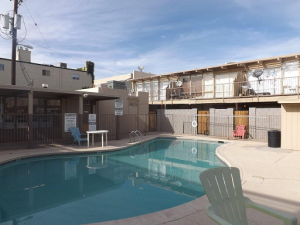 Phoenix, AZ – March 29, 2017 – ABI Multifamily, the Western US's leading multifamily brokerage and advisory services firm, is pleased to announce the $2,200,000 / $61,111 Per Unit sale of the 36 Unit Mulberry Townhomes, a garden townhome-style community, located in the West Phoenix submarket. Situated just east of 19th Avenue and south of Osborn Road, Mulberry Townhomes is a two-story garden style community which rests on 1.21 acres of land and was completed in 1964. Built of reinforced concrete, the property features an attractive mix of 33% 1 Bed / 1 Bath and 66% 2 bed / 1.5 Bath townhome-style units that range between 675 to 921 square feet. "The Buyer purchased this property for a host of reasons," states Ryan Smith, Vice President at ABI, representing the Buyer in this transaction. "First, given the current gentrification processes in the neighborhood, the buyer plans to fully reposition the property with interior and exterior renovations". Eddie Chang, ABI Partner adds, "The buyer got a great deal considering the location, $61,111 per unit and $68.46 per square foot". The Buyer, Affinity Properties, is an experienced private multifamily investment company based in Arizona. The Seller is a private owner based in Australia. Phoenix based ABI Multifamily Vice President Ryan Smith and Partner Eddie Chang represented the Buyer in this transaction. ABI Multifamily is a brokerage and advisory services firm that focuses exclusively on apartment investment transactions. With offices in Phoenix, Tucson and San Diego, the experienced advisors at ABI Multifamily have completed billions of dollars in sales and thousands of individual multifamily transactions. ABI Multifamily incorporates a global approach with regional real estate expertise to successfully complete any multifamily transaction, regardless of size and complexity.